This is the first time you will find Webhostinghub.com on Hosting Reviews Exposed. 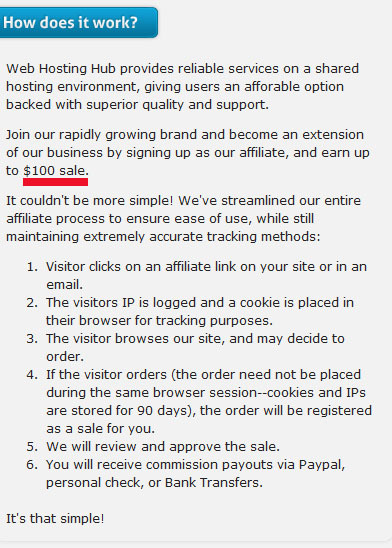 I was reviewing their new affiliate agreement because a so-called “top 10” hosting review site decided to spam comment on this site. Like the first hosting company, they appear to be following along the same lines as Hostgator.com and Endurance International Group. Why would anyone want to put webhostinghub.com on a top 10 list? As you can tell from the screen shot, $100 per sale is very enticing. Which is why I see webhostinghub.com on many so called top 10 site sites. What I find interesting is that Inmotionhosting.com and webhostinghub.com have the same FTC notice. 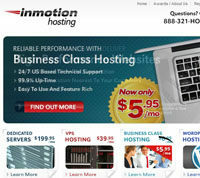 Perhaps at a later date I will explore the relationship between these two companies as I find it hard to believe that Webhostinghub.com would borrow copy from InMotionhosting.com. Webhostinghub.com joins the list of hosts that require review sites to disclose that they make money when people use them to sign up with a host. If you’re a review site and choose to show case Webhostinghub.com be prepared for a visit from me. Non-disclosure of getting paid for an endorsement for by Webhostinghub will result in me contacting them to enforce their policy.